Raja Yoga meditations have a foundation of the soul being a point of light and all meditations are based on this concept. Raja yoga literally means kingly. 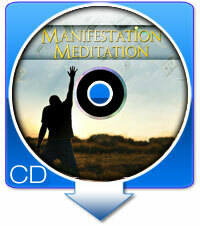 It is a form of meditation which is based on relating a person’s life to different ideas. It brings together the inner thoughts of the mind and emotions. 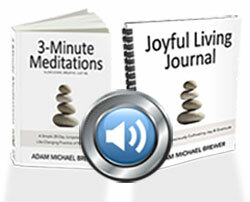 It balances the attention on these aspects in order to provide a focused mind for meditation. Raja yoga uses a life force which moves from the upper body through the spine up to the lower body. This type of yoga aims to balance the mind and emotions in a peacefully way. With this, people practicing this meditation will be aware of the energy present in the mind and body. The person must be very calm and attempt to avoid his/her mind to be passive. It involves releasing meaningless worries, stresses and thoughts of the subconscious mind. At the end of every meditation in Raga Yoga, the person is expected to discover a pleasant sense of being. It fills the mind with free thoughts and thus gives him/her the comfort to use the new thoughts freely. Raja Yoga is also called as Classical Yoga. It is the cultivation of the mind to acquaint him/her with what reality can give. The term Raja is first used in the 15th century. Up to this date, the term is used to describe the kind of meditation of the Brahma people. Traditionally, there are eight aspects to which one should be able to take into consideration. These eight aspects are listed below. Niyama – a person’s commitments to the divine world. It includes religious commitments and practicing devotion to the holy one. Asana – the integration of one’s mind and physical body in some activities ahead of him/her. A person is expected to use both mind and body in challenges one is about to face. Dhyana – is the form of meditation which Raja yoga is using. It is a quiet activity where the people will meditate and lead to a different state. Dharana – the form of concentration one should exhibit. It exhibits the one direction every mind should focus on. The people should focus on the right direction. Yama – the rules and codes of conduct. It allows one to practice his/her belief under oath. There are certain norms in society that one should accomplish to achieve the goal of Raja Yoga. Pranayama – the form of breathing regulated by the person to integrate his/her mind with the body. This involves using the sense of smell in communicating the two parts. Samadhi – the state of quiet conscious. It is the state of blissful time where the person must attain. Once the person meditating sees his God in his heart, the goal is considered attained. Pratyahara – the use of different senses through perception of different objects. It allows one to look into. Raja Yoga is concerned with focusing the mind and using its power to control the body. It is perceived to be the king or controller of the person. There should be a relationship between the mind and body in order to be disciplined. Over-all, one should be healthy physically and psychologically. This is the wonderful journey of self discovery through Raja Yoga meditation. The basis for attaining an experience in raja yoga meditation in to understand the self and the mind. Using this energy called mind we have been able to search the deepest oceans, send humans to the moon and scan the molecular fabric of the building blocks of nature. But have we found our true self? We have become the most educated and civilized society in our history, but are we civil towards each other? According to raja yoga Meditation The soul has three main faculties; the mind or consciousness, the intellect and the subconscious.